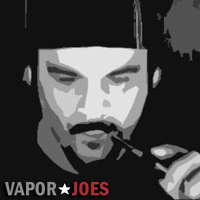 Vaporjoes.com is located directly in the path of hurricane Sandy. 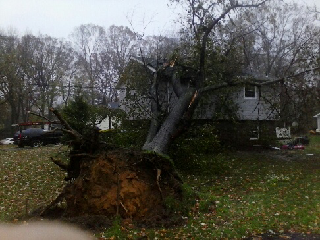 Power is out and we don’t expect to get power back for a few days. Deals will start back up once power is restored. Our facebook group is still updating in real time. We will keep you posted via cellphone. 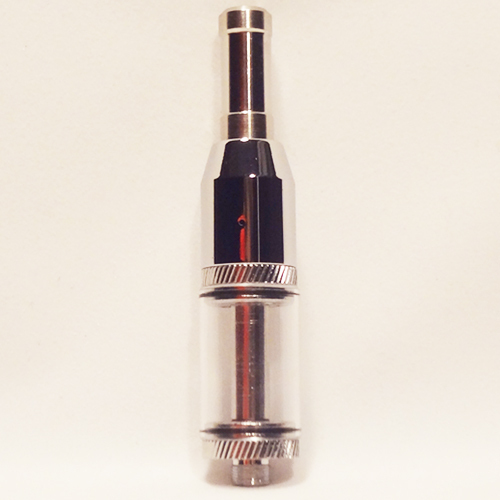 The very popular did style rebuild-able atomizer now has a clear bottom tank. This seller also has it a great price! You must oxidize the stainless steel mesh in order to use this device. Improperly oxidizing the stainless steel mesh can damage the atomizer. The Kanthal wire should be run through a blue flame before using. 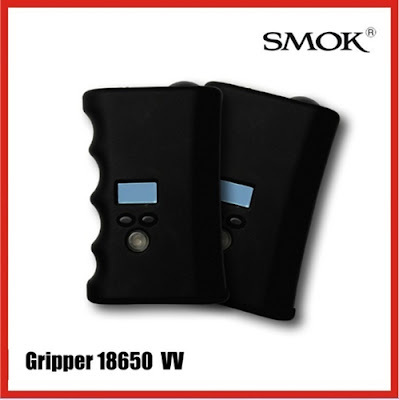 Here is a great deal on a VV Gripper. This deal is running about $10-$15.00 cheaper. Comfortable, durable injection molded body. Shows Volts and atomizer/cartomizer ohms. There mods were always $100.00 – I like this price for the uniqueness. 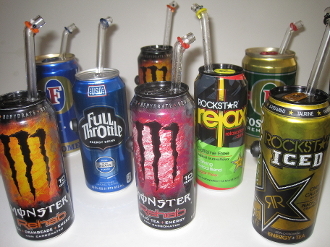 These sturdy “stash” cans have been modded for e-liquid. These mods can easily be converted from a 3.7v mod to a 6v mod by using 2 stackable, Tenergy RCR123A 3v rechargeable batteries. Most of them will fit in a vehicle drink holder. 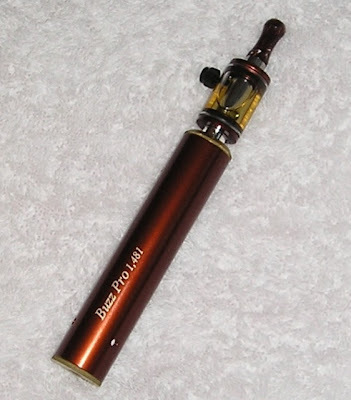 5ml DC Tank 18650 battery and glass straw included. Easy to replace/change tank cartomizers and batteries. Ready to Vape! This item qualifies for free shipping! $71.20 after using coupon code: HALLOWEEN for 25% off your total order. Kanger T2 Heads 10 for 9.99 Free Shipping. I love the kanger T2s and surevapes is running a great deal on the replacement heads. Running just under $1.00 each with free shipping. They also sell a 5 pack for $5.25. There is a great deal on some Ce4 Clearomizers AKA The Stardust. Available in a variety of colors. So far Im impressed with the stainless steel model. Very well constructed and the voltage tweaks in the new model seem more compatible with lower resistance. I ordered this on the 25th, got it today on 27th. If I don’t drop it from 25 feet or run it over with my car – I thinks its going to be around for a while. Here is a great deal on a Vmax. The Stainless Steel model is always about $10.00 more then the standard finish. Most vendors are still selling these for $79+. You can also pick other finishes for the same price, but I just wanted to feature the stainless. These are version 2 Revision 4. Some call it Version 4. Whats the difference? Watch this video. Better then Smoktech and Less Money! Surevapes is running a great deal on these newer boge cartomizer tanks. I own these and I have to tell you that they are better then the smoktech tanks. The tank construction itself is a bit better and its a bit larger. 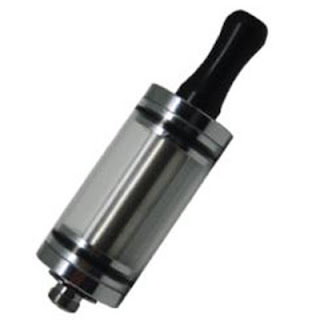 The tank kit comes with the tank, a boge cartomizer with flang and drip tip. These tanks can use the smoktech tank cartomizers as well. $8.95 for the complete kit. Vape 2 Cartomizers at once! This isn’t really a deal but its such a neat idea I had to put it up. Madvapes is currently the only vendor I know selling these. The base comes with a 510 connector to attach to the battery and 2 female connectors to attach two (2) 510 cartomizers. 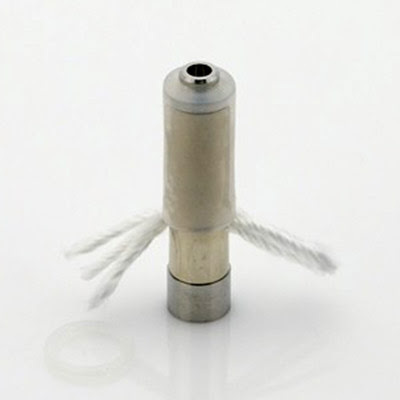 The drip tip is designed to slide over top of both cartomizers simultaneously. Two cartomizers means twice the vapor! Please remember the voltage that is needed to power your device. This device is recommended with single coil cartomizers and the total resistance must be figured. If your device is 3.7 volts and you vape well with a 1.5 ohm dual coil cartomizer, then 2- 3.2 ohm single coil cartomizers will work as the total resistance would be 1.6 ohms. In order to figure your ohms using 2 cartomizers, simply divide the resistance of the cartomizer you are using by 2. So if you are using two (2) 4 ohm single coil cartomizers your total resistance is 2 ohms. A dual coil cartomizer works like this as well. So if you know what resistance dual coil cartomizer works well for you at a particular voltage, multiply that resistance by 2 and then get that resistance single coil cartomizer. 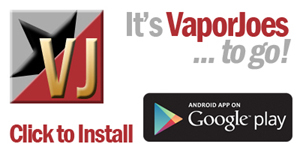 Little house of vapers is having a 10% off and free shipping sale. This is in response to the possible shipping outages due to the hurricane on its way to the North east. This sale is in effect through the 29th. Use coupon code: SANDY at checkout. 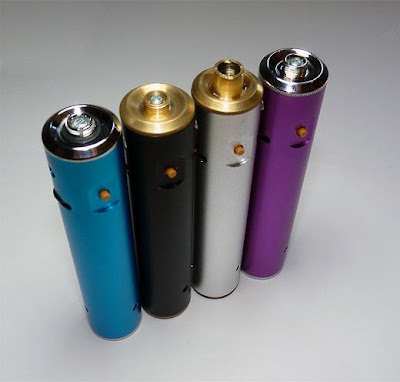 Here is a great deal on Vision Max 510 atomizers. There are are many different configurations to choose from. Standard and Low Resistance. With or without a bridge. All cost the same price with the 25% off coupon – $3.96. These all use standard 510 connections. $3.95 after using coupon code: Halloween for 25% off the price. I have listed deals in the past from this vendor and they have been very popular. Here is a great deal that is sure to satisfy the most frugal among us. High Desert is running a 50% off e-juice sale. A 30ml bottle will run you just 6.95! Use Code: FIFTYOFF for 50% off your total order. This only works for e-juice. Be sure its in all caps! The Buzz about the Buzz Pro.. The buzz pro is one of the mods that have been around since the beginning of time. The Buzz Pro is still a great variable voltage device. This offer now includes free engraving up to 20 characters. You can get it in 510,901,808, or 801 connections. New finish , blasted finish with no knurling , it will improve the slip factor ! Uses same batteries as the original Buzz (16340 type) , and charger so no need to buy new batts etc. , also the top cap will be the same so you can use spares you have from the Original Variable Voltage Buzz. New top cap design for a sleeker look. Ego kits continue to fall in price and this deal is pretty great. These are not joyetech brand but are warrantied.